The wild and majestic Selway has numerous tributaries that have been studied by the Forest Service for inclusion in the National Wild & Scenic Rivers System. 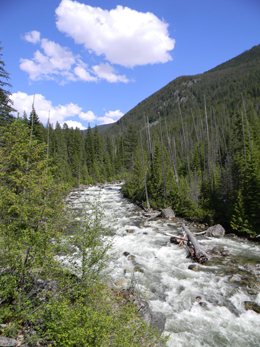 Bear Creek, Moose Creek, and Three Links Creek flow from deep within the Selway-Bitterroot Wilderness, making them prime candidates for designation. Running Creek, which enters the wilderness from the west, has also been studied. 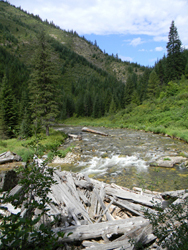 Meadow Creek and Gedney Creek flow from roadless areas adjacent to the Wilderness, before they join the Selway. Both rivers have been studied for further protection, too. Due to a possible administrative error in the 1960′s, the upper portion of the Lochsa River is not protected under the Wild & Scenic Rivers Act. Protection should be extended upstream from the Powell Ranger Station to the confluence of the Crooked Fork and Colt Killed Creek. The headwaters of the Lochsa River are not protected under the Wild & Scenic Rivers Act either. Colt Killed Creek, a tributary of the Lochsa, originates in the Selway-Bitterroot Wilderness (the Lewis & Clark Expedition killed a colt for meat here, hence the name). The Forest Service has studied this river for protection, but it is currently unprotected. Fish & Hungery Creek provide some of the most important habitat for B-run steelhead. The Forest Service has said they intend to study the river for protective status. Fish Creek enters the Lochsa River near the Lochsa Historical Ranger Station. 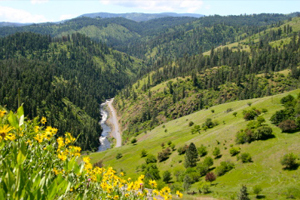 Much of the Main Salmon River is designated wild and recreation until Vinegar Creek. The Forest Service has studied the section of river between Vinegar and the confluence with the Little Salmon River for protection, but none has been given. Slate Creek and Bargamin Creek, both tributaries of the Salmon, are important for anadramous fish and have been studied for designation, but have yet to receive protection. 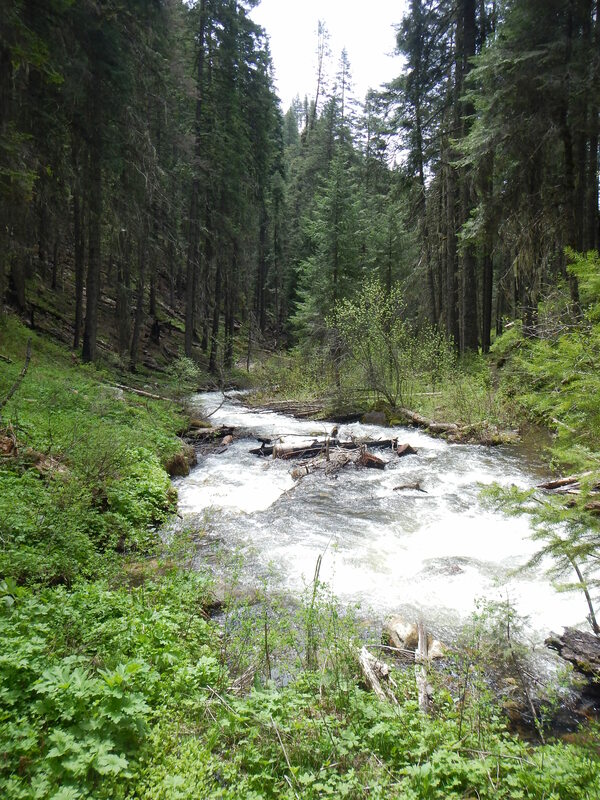 The Forest Service has also studied the section of Lake Creek from its headwaters in the Gospel-Hump Wilderness, to its confluence with Crooked Creek for protective status, but none has been given. 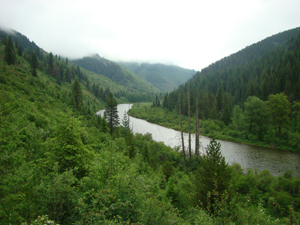 The American and Red Rivers form the headwaters of the South Fork Clearwater River. Tributaries like John’s Creek and Tenmile Creek flow from the Gospel-Hump Wilderness, providing crucial habitat for steelhead, Chinook salmon, and bull trout. Both John’s Creek and the South Fork have been studied for protective status, but have yet to receive any. The South Fork is popular with anglers, boaters, and wildlife viewers. The drainage has a long history of mining claims, with gold being discovered in 1861. Before construction of the Dworshak Dam, the North Fork Clearwater had the largest steelhead run in the Lower 48. 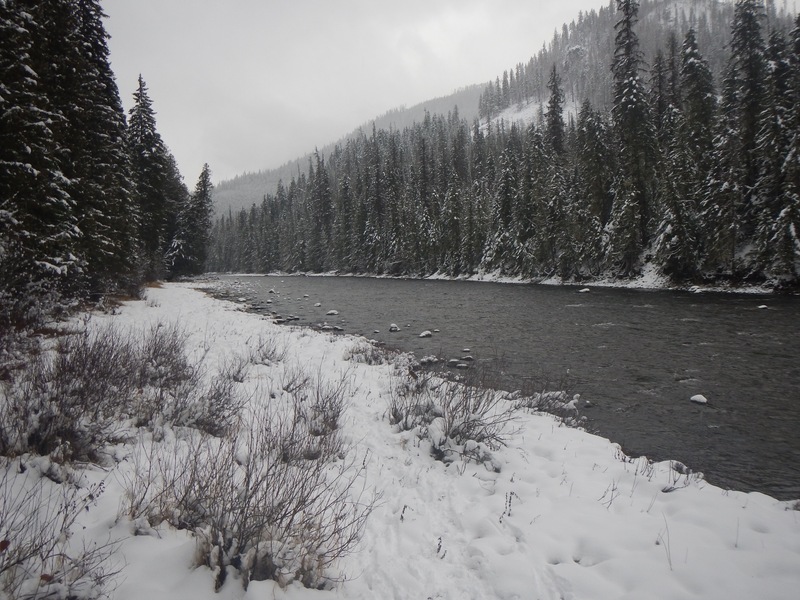 Its upper headwaters, places like Kelly Creek and Cayuse Creek, provide some of the coldest and cleanest water in the entire Basin, providing critical habitat for native species like Westslope-cutthroat and bull trout. Weitas Creek is a popular backpacking destination. While the North Fork, Kelly Creek, and Cayuse Creek have been studied for protective status, not one mile of stream in the the North Fork drainage is protected under the Wild & Scenic Rivers Act. 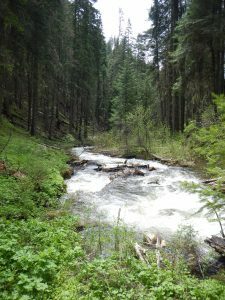 A hidden gem, the headwaters of the Little North Fork are located in a checkerboard landscape managed by the Bureau of Land Management and the Idaho Panhandle National Forests. Originating at Fish Lake, the river slowly winds its way south and east, providing important fish habitat for Westslope-cutthroat and bull trout, before abruptly terminating at Dworshak Reservoir. Foehl Creek is an important tributary of the Little North Fork. The Little North Fork has been studied for designation, but is currently unprotected. It is a popular destination for fly-fishing and backpacking.